Doug Martsch was a still a member of Treepeople in the early ’90s when he formed Built To Spill as a side project, acting on a vision of a collaborative project with him as a leader and new players on each record. That guiding principle didn’t last in practice, but it does help to explain the constant oscillation across the band’s discography. It’s a perpetually under-the-radar group helmed by a low-key elder statesman who works at his own pace. Martsch keeps plugging away, the last continuing remnant of an era as The Little Engine That Could Pulverize Your Ears With Soaring Guitar Acrobatics. But throughout his career, Martsch has been pulled in opposing stylistic directions. Built To Spill’s first two albums, 1993’s Ultimate Alternative Wavers and especially 1994’s There’s Nothing Wrong With Love, were built on shorter songs with contained instrumentation and mere hints of potential. That sound attracted major-label attention, and Warner Bros. signed the band with the expectation of more structured twee-pop. Instead, 1997’s Perfect From Now On blew the doors off that structure with tracks wandering around as long as they wanted. A sprawling, experimental masterpiece in its own right, Perfect From Now On finds the band shirking those major-label expectations to turn in a big-league debut where only one song checked in at less than five minutes and most averaged far north of that mark. It was a dramatic left-turn, signaling that Martsch would bounce not only between writing alone while using his bandmates as session musicians and collaborative equality in songwriting, but also between classically structured pop songs and probing, psychedelic soundscapes. Yet the tortured recording of that album nearly destroyed the band’s major-label debut before it was out of the gate. Initially Martsch played all the parts himself, but, as nagging perfectionism set in, was unmoved by the results. Then, the second sessions’ masters were accidentally destroyed. 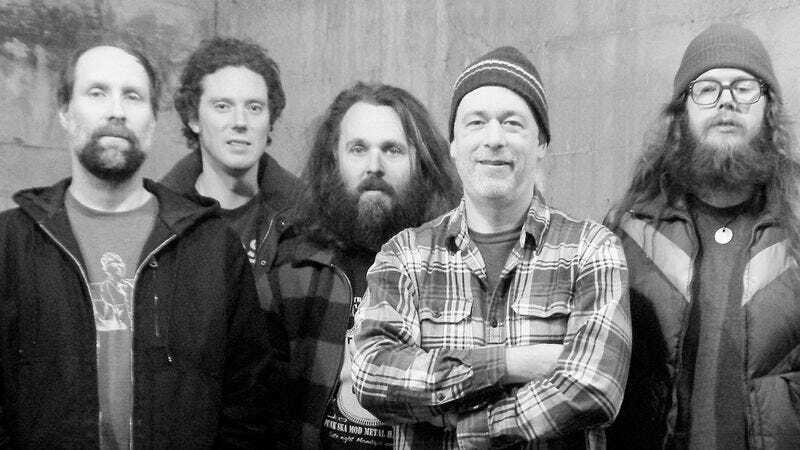 After a successful third recording, Built To Spill took to turning its live shows into set-long jams flowing between sketches of the songs. Perfect achieved the far end of Martsch’s collaborative exploration, but absent were the pretty, catchy, inviting tones of the band’s first two records. Built To Spill had established outposts on two extremes: tight, two-minute pop songs and sprawling psychedelic suites that pushed the boundaries of a trio. The next record, 1999’s Keep It Like A Secret, is where Doug Martsch’s dipoles converged in greatest harmony, bringing together the jam band and the architect—the left-of-center approach to melancholic pop music on songs like “Twin Falls” and the languid meandering of “Velvet Waltz” in one record. The songs here mostly ballooned past radio-friendly length, but remained reined in enough to avoid an alienating time span. For the most part—with about one notable exception per record—that’s the range Built To Spill has stayed in on every record since. It’s slightly overstuffed with noodling, but never wanders completely off the reservation. As the middle record in a seven-album career so far, it’s the linchpin to access both halves of Martsch’s stylistic tendencies in one place, where they feed and strengthen each other. What makes Doug Martsch so distinct is his ability to blend his perpetually under-the-radar guitarist abilities with an uncanny ear for catchy melodies. Live, Martsch tears away at the strings with such fevered and focused energy it’s a marvel he manages to utter any words into the microphone at all, much less the bouncy, comical tone he projects. He’s an indie-rock guitar virtuoso who legitimately shreds. But along with those prodigious skills, Martsch’s tongue-in-cheek and self-aware lyrics capture a casually humorous air without feeling tossed off or careless. He had enough presence of mind to write the line “I wrote a song / It was slow and long / I wrote the words and music wrong / But life goes on,” poking fun at Built To Spill’s style at the end of There’s Nothing Wrong With Love. “Carry The Zero” remains the crowd-pleasing favorite on Secret, still a live staple no matter how many touring iterations down the line, a dreamy yet surging exploration that displays Martsch at the height of his prowess for infectious melody and arresting solos. Though Martsch is fond of saying that he never hears a track that sounds like a single on Built To Spill records, “Carry The Zero” contains typically dense and mystifying lyrics, a surging guitar solo, and an immediately inviting melody. It combines every one of Built To Spill’s strengths into one song. The band’s early standouts “Car” and “Twin Falls” defined Martsch’s early commitment to tighter structure, while later tracks like “Randy Described Eternity” or “Goin’ Against Your Mind” indulge every wandering whim of in-studio improvisation. But Keep It Like A Secret’s thematic centerpiece, “You Were Right,” is an anomaly in the band’s career within a record that synthesizes its gifts. It doesn’t have the catchiest melody, the best guitar solo, or even the heartbreaking lyrics of the most coincidentally poignant tracks (Marsch has said that the lyrics always come second to the melody). Though it’s not the strongest song on the record, it sends the strongest message, an accidental commentary questioning the lasting importance of cultural touchstones. The words are a lyrical collage, pulling lines from Bobs Dylan, Marley, and Seger, as well as Jimi Hendrix, John Mellencamp, Neil Young, Pink Floyd, Kansas, The Rolling Stones, and The Doors. It’s like taking a peek into Martsch’s skull, or metaphysically looking back in time to a young Martsch with his record collection, soaking up all those various influences, from the lyrical storytelling to the guitar virtuosity, weaving that together to form Built To Spill, a lyrically complex, instrumentally dense entity always up for sonic adventure. Martsch’s guitar style contains threads of most of those players, neither a speed demon nor a riff king, but more of an explorer, searching with his instrument not for the right note, but for the journey. “You Were Right” at once celebrates the influence of great music on a young mind while questioning the promises it makes to a young, inexperienced listener who takes that advice and goes into the world with shifted expectations. Martsch took some of the greatest songwriters in history and put them in direct conversation with one another, expressing thematic contradictions, mixed messages, and the disoriented feeling of all those thoughts. It subverts the iconic rock music it also name-checks with adoration. Admittedly, he’s making fun of some of them—and in talking about his process putting together so many clichés in a row, Martsch reveals he didn’t draw a line between sincerity and mockery. No other song in Built To Spill’s catalog lays bare as many influences so plainly, from classic rock to reggae to top 40, celebrating the eclectic mix that blended to form Martsch’s musical viewpoint. The more humorous streak in Martsch’s vocals when parroting lines like, “You were right when you said you can’t always get what you want,” and, “You were right when you said all that glitters isn’t gold,” suggests something more complex than hero worship or derision. After repeated listens, this song doesn’t come off as a straight-faced endorsement or denial of these classic lines. People invest their lives in music, in the feelings it can amplify, and the seemingly ineffable truths it can express. But what if those lyrics aren’t helpful? Hit songs are treated as unimpeachable gospel, but living life according to lyrical philosophy doesn’t necessarily lead to happiness, and the chorus of “You Were Right” engages with that epiphany: “You were wrong when you said / Everything’s gonna be all right” can be both a loving reference and a rebuke to the message of oft-quoted songs. Since Keep It Like A Secret, Martsch remains the only permanent member of Built To Spill, rotating through other musicians and bouncing between collective songwriting and working alone. But one trait remains constant: Built To Spill’s album titles express abstract thoughts that get the philosophical ball rolling before the needle drops. Perfect From Now On seems to wryly acknowledge how the band’s major-label debut eschews typical forays into the mainstream. There’s Nothing Wrong With Love reflects the forlorn innocence of “Big Dipper” and “Distopian Dream Girl” that with age and stagnation morphs into regret on “Twin Falls.” Ancient Melodies Of The Future expresses a playful riddle of feeling nostalgic for something current. But Keep It Like A Secret is perhaps the best encapsulation of the band’s oeuvre and the ever-simmering public response in a single phrase. Built To Spill has never been as commercially successful as its early-’90s contemporaries, but Martsch has remained an influential figure, inspiring bands like Modest Mouse and Death Cab For Cutie to combine experimental instrumentation with pop roots upon entering the mainstream.